Like so many things today, I found this wonderful image on one of my social media networks. The discovery of this fantastic map is symbolic of the opportunities and challenges of 21st century education. One the one hand, I absolutely LOVE this image; like any good map it tells a story and virtually any audience can get something out of this stunning visual display because of the layered nature of the content. 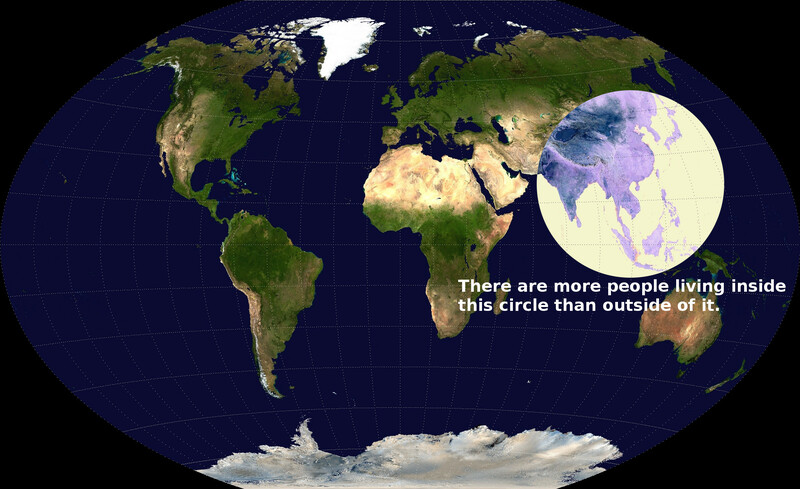 On the other hand, I was forced to ask myself if the statement “There are more people inside this circle than outside of it” was true or not. I was left feeling deeply ambivalent–here is a gorgeous map that appears to tell a great story about the regional spatial patterns of population density but I was unsure if I could use it since I didn’t know how accurate the information. So I present this map without any context to my students and ask the question: is this statement true? How can we ascertain the truthfulness of this claim? What fact would we need to gather? This exercise sharpens their critical thinking skills and harnesses the assorted bits of regional information that they already have, and helps them evaluate the statement. The Washington Post asked the same questions I did, and here are their answers. We’ve all been fooled before, and we WANT to believe this is real. This image was retweeted over 1,000 times in the first HOUR that it was up. In fact if you google “dublin ireland castle” you’ll find this photoshopped imaged. Can this image be used to help our students assess the validity of it’s claims? Hopefully they are a little suspicious, but if not, let’s get them questioning the information at hand. I ask my students, about the climate and vegetation of Ireland–trying to get them to find some content clues to assess the image and think critically about it. This is a real island…well, sort of. 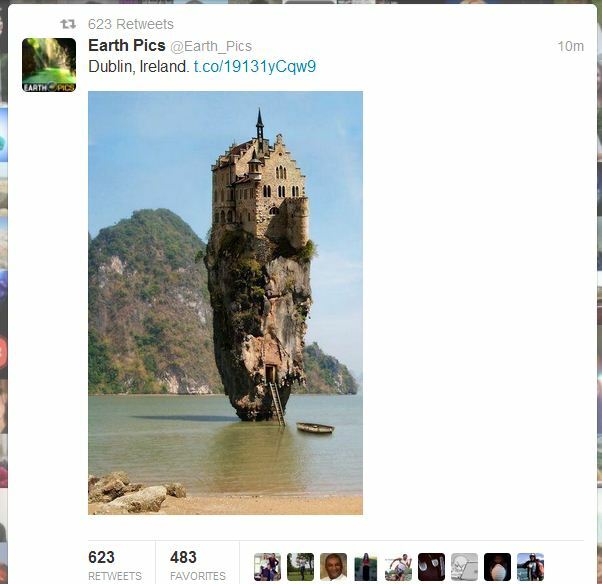 It is an island off the coast of Thailand (most certainly not Ireland) and there is no castle on the top. Photoshopping and easy file sharing make it harder to assess the validity of online resources. 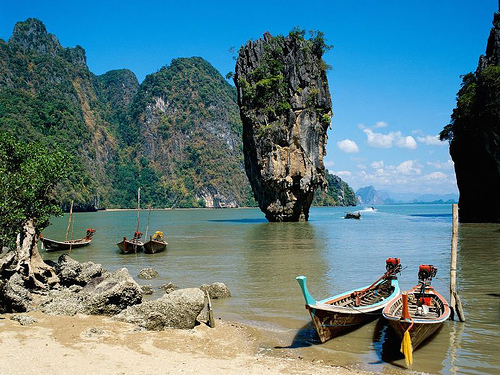 Here is Ko Tapu, a 20 meters tall a limestone rock, Phang Nga Bay, Thailand (also known as James Bond Island). 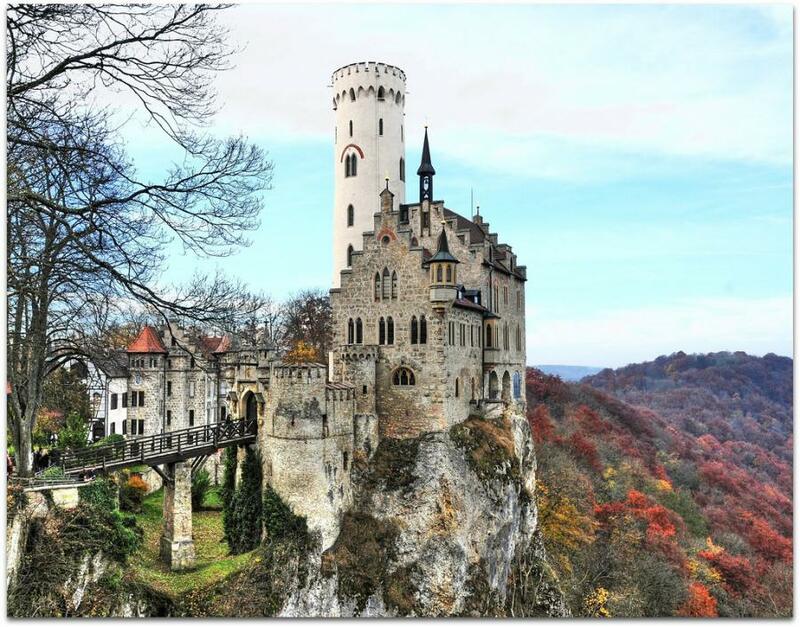 Here below is Lichtenstein Castle, located near Honau in the Swabian Alb, Baden-Württemberg, Germany. These are both fabulous locations with amazing physical and human geographies with rich histories, but let’s be leery if something is TOO spectacular from a source that were can’t verify. 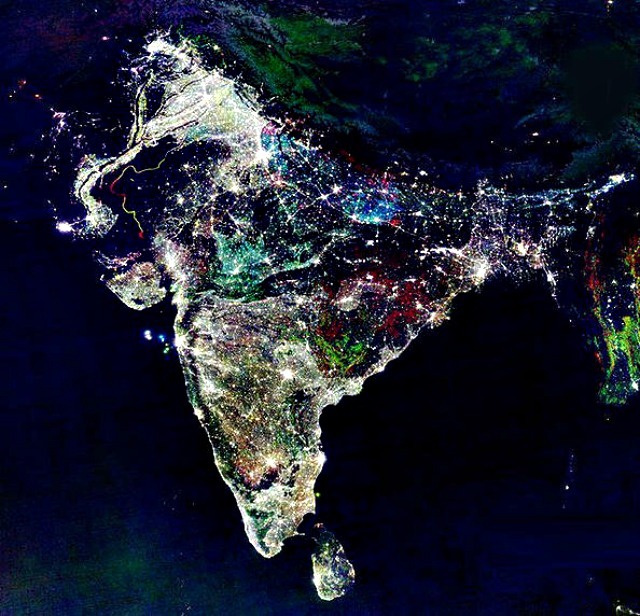 One more case study, is the “Diwali as seen from space” image. Diwali is the festival of lights in India and Holi is a day when color is splashed around in the festivities. Somehow, this composition satellite image from post-production was morphed into a Diwali/Holi image that people were sharing it widely. Don’t believe everything you see on the internet (I thought it goes without saying, but just in case). Ask questions and search for context if something doesn’t seem right. Look for the original sources. Ask yourself: Is this this source a trustworthy source of content? Do a little digging: Here is an article that shows some strategies for conducting some basic internet research if something doesn’t seem quite right.